Explore the origins and history of Greenpoint, Brooklyn, where the East River mingles with the Newtown Creek. Join Newtown Creek Alliance Historian Mitch Waxman for an intense exploration of Newtown Creek's Greenpoint neighborhood in Brooklyn. 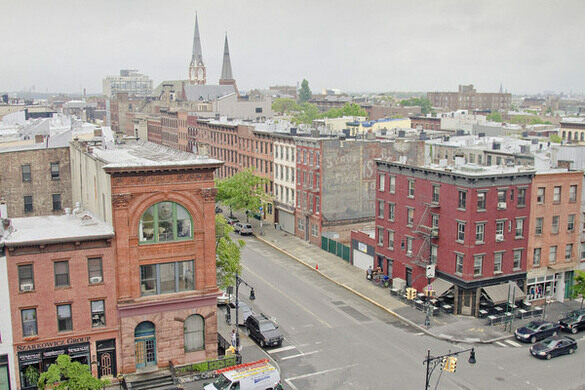 A colonial center and 19th century industrial powerhouse, Greenpoint is a thriving neighborhood surrounded by environmental catastrophe which has been reborn in the 21st century. The walk will explore this ancient North Brooklyn neighborhood and its industrial history as we move inexorably toward the Newtown Creek. The area we will be moving through will be completely altered by real estate development in coming years, come take a look before everything changes. Be prepared for rough terrain and possible heavy truck traffic. Dress and pack appropriately for hiking and weather. Closed-toe shoes are highly recommended. Bathroom opportunities will be found only at the start of the walk. The tour begins promptly at 11:00am. Please be on time. Meetup - At the Nassau Avenue stop on the G train at Manhattan Avenue in Greenpoint. Drivers, park your vehicle nearby the Pulaski Bridge.